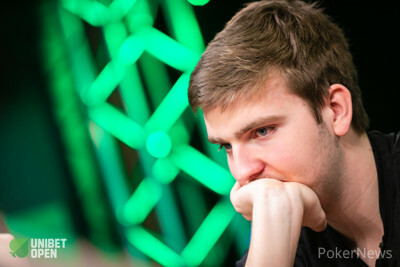 Julien Stropoli raised to 110,000 with :::Ad:::Qs and Daniel Jacobsen called with :::6s:::6c. The flop was :::Qd:::Js:::Qh and Stropoli quickly checked. Jacobson took the free turn and caught gin as the :::6d was dealt. Stropoli bet 125,000, Jacobsen raised to 360,000 and Stropoli called. Stropoli checked the :::3d to Jacobsen. The Dane bet 515,000 and Stropoli called without much hesitation. The Frenchman was forced to fork over a large part of his stack to his left-hand neighbor.